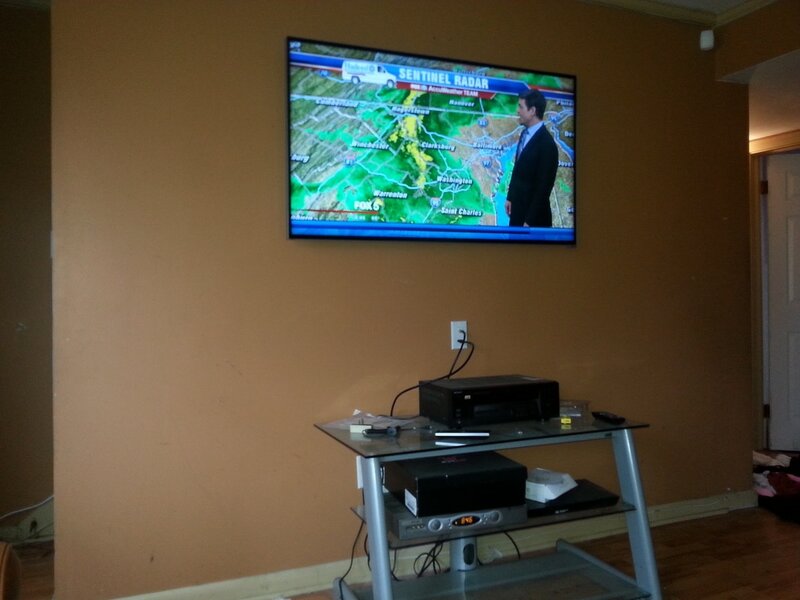 ​﻿We posted this flat TV wall mount to show the actual process and labor involved to complete a project like this. When a customer does decide to go with a professional, often times they have questions like "What's it going to cost?" or "Why does it cost that much just to mount a TV?" 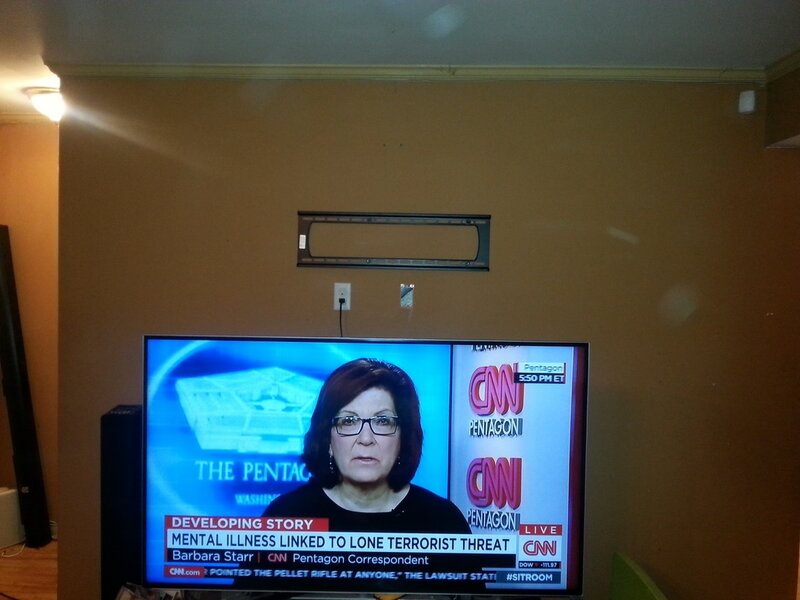 or "Why do I need an outlet behind the TV instead of running the TV cord in the wall with the rest of the wires?" . Questions like these are fair and should be asked so that you know what value you are getting for the work that is performed. We invite you to ask these questions and any others. After all, when you spend between $200 and $10,000 for flat TV, you want it (and the mount it is attached to) to be well secured to your wall. 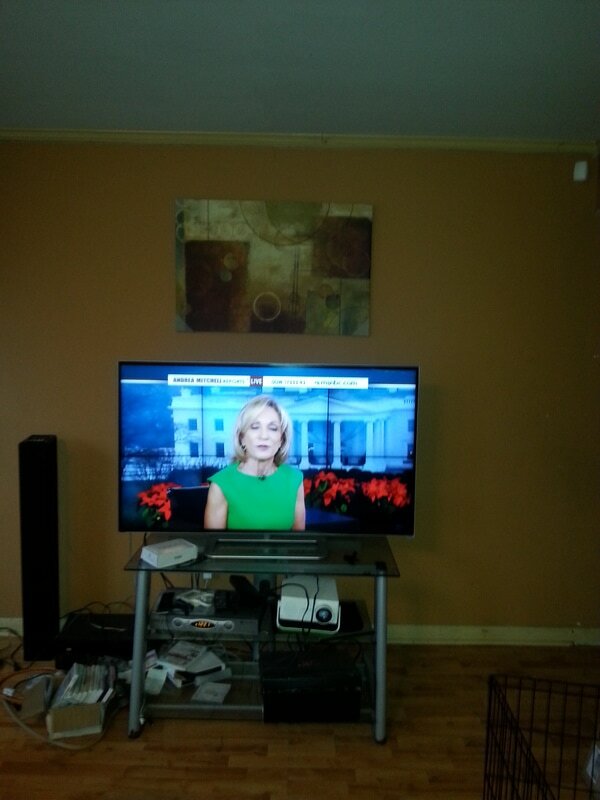 This customer wanted a 55" LED Smart TV mounted to a Stairway wall with an AC outlet behind the TV and all wires concealed in the wall. 2. Install an AC Outlet and the electrical wiring. 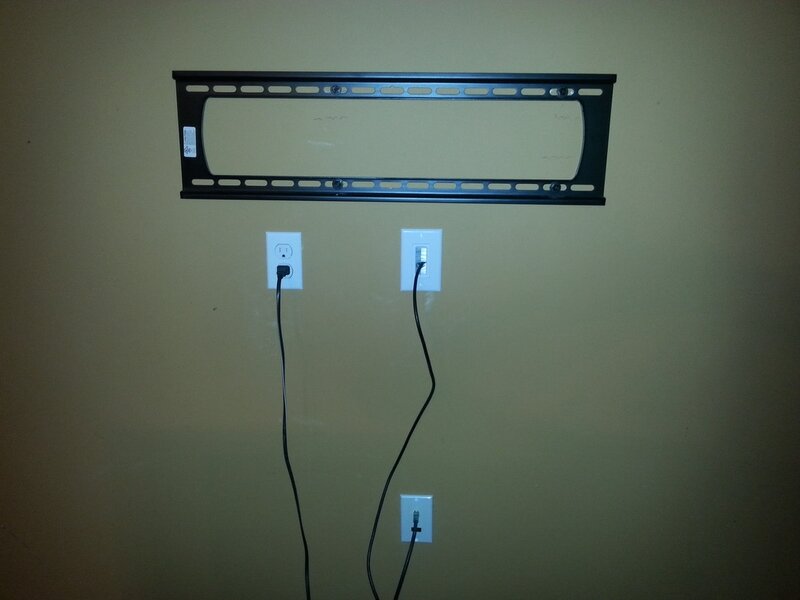 Install an outlet for the component wiring to conceal the wires in the wall behind the TV. 3. Install a bottom outlet for the component wiring to exit the wall. Fish pull strings in the wall to be able to pull the wiring. 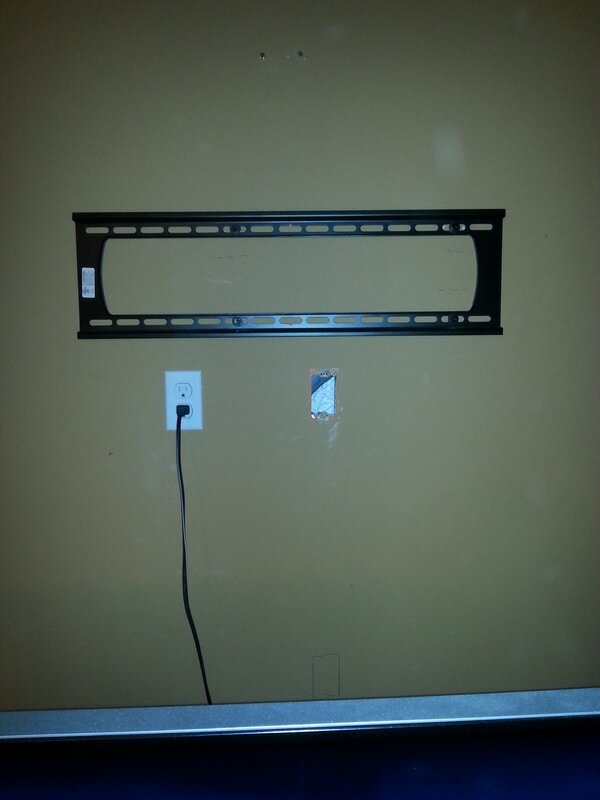 [This customer wanted the lower outlet to be about 1 foot below the TV for future plans to have wall mounted shelves installed.] 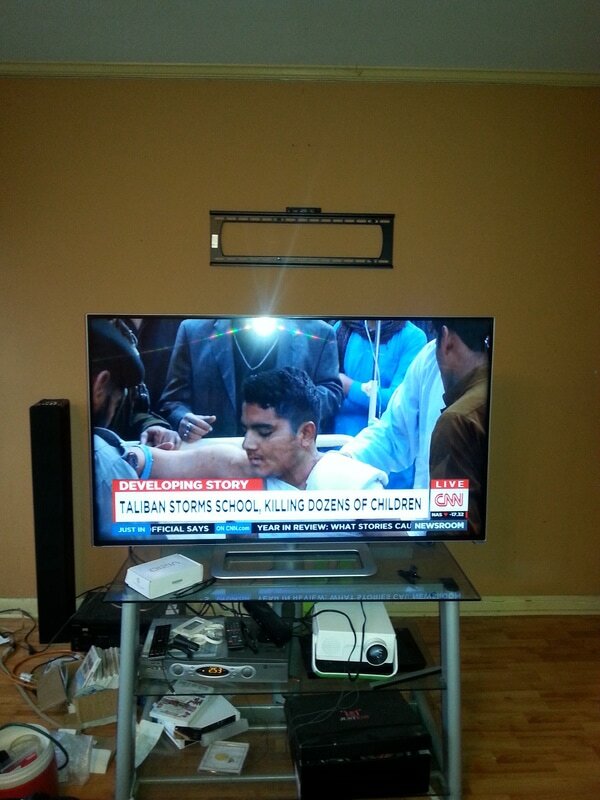 Attach mount arms to the back of the flat TV. 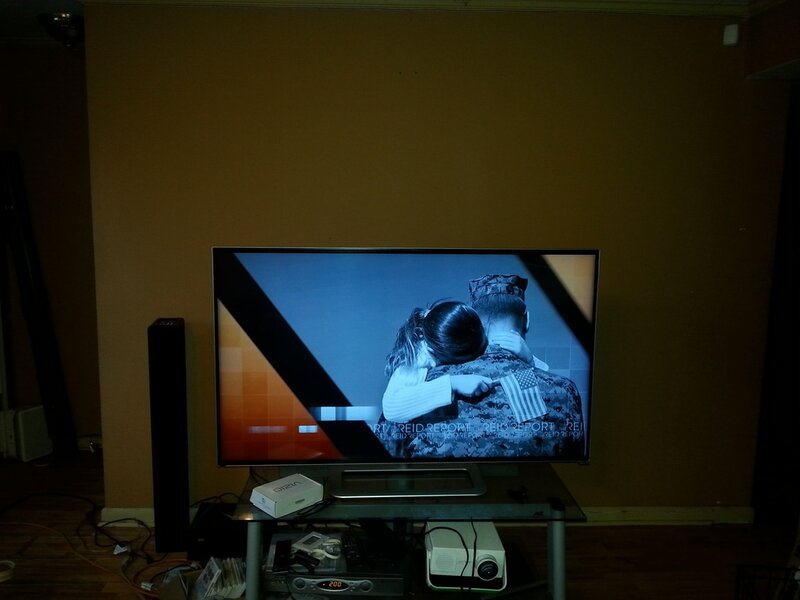 Attach flat TV to mount on the wall. 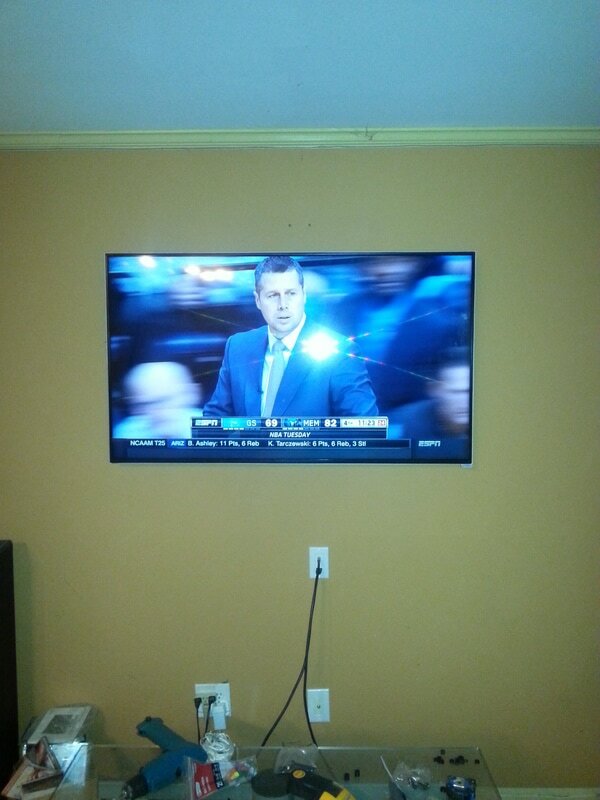 ﻿Where do you want your flat TV mounted? Click HERE to fill out an inquiry for a FREE telephone estimate!